The Electricity Club’s Chi Ming Lai had the pleasure of interviewing CHRIS PAYNE live on stage during the first day of the 2016 ELECTRI_CITY_CONFERENCE in Düsseldorf. Best known as a member of GARY NUMAN’s band between 1979-89 and for co-writing VISAGE’s ‘Fade To Grey’, Payne was also DEAD OR ALIVE’s musical director when the band were touring their ‘Youthquake’ album. More recently he has been working on RUSTY EGAN’s upcoming debut solo long player ‘Welcome To The Dancefloor’, while also composing material for his production company Electronic Music Library and his synthpop project ELECTRONIC CIRCUS. Now domiciled in Normandy, CHRIS PAYNE happily chatted about his period with GARY NUMAN and the genesis of ‘Fade To Grey’ during soundchecks on ‘The Touring Principle’ in 1979. The Cornishman studied Mediaeval music and even treated the audience to a quick burst of ‘Cars’ on his bass Cornamuse, a double reed instrument from the period. 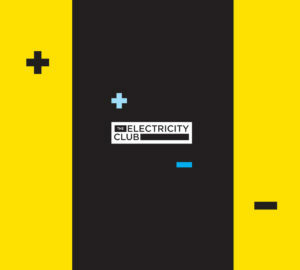 The discussion formed part of the 2016 ELECTRI_CITY_CONFERENCE’s weekend long programme of talks and live music to celebrate Düsseldorf’s electronic music legacy. Also participating were DANIEL MILLER, CHRIS LIEBING, JOHN FOXX, STEVE D’AGOSTINO, RUSTY EGAN, MARK REEDER, MARSHEAUX, ERIC RANDOM, JIMI TENOR and JORI HULKKONEN. Conference co-organiser Rudi Esch recently published ‘ELECTRI_CITY – The Düsseldorf School of Electronic Music’, an English language version of his acclaimed book documenting the development of city’s innovative and inspiring music scene.